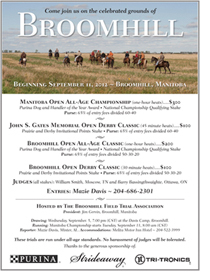 The Manitoba Open All-Age Championship marks the start of the 2012 Broomhill Trials, hosted by the Broomhill Field Trial Association. Following the Manitoba Championship which begins on Tuesday, Sept 11: the John S. Gates Memorial Derby Classic, the Broomhill Open All-Age Classic and Broomhill Derby Classic. Judges for all stakes are William Smith, Moscow, Tennessee and Barry Bassingthwaighte, Ottawa, Ontario. Mazie will be reporting the events. 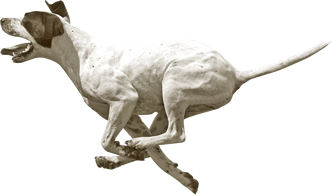 We wish all the all the owners of dogs, handlers and scouts good luck and a safe trial!